THERE WILL ALWAYS BE A SPARTAN RACE FOR YOU! Companies, Gyms, clubs, Sports associations…. We have specials offers for you! The more you register, the more you can get good offers. SPRINT: The Sprint is the best race for all of your collaborators. No matter their level, they will have a complet feeling of accomplishment after the finish line..
SUPER: The Super is designed to push your team’s limits and challenge their physical strength and mental resolve. BEAST: The Beast is the pinnacle Spartan Race distance and will transform the top athletes of your organization. No excuses, no mercy, no giving up! *Offer valid for Dutch Race races only. *Team must be paid for in one payment to qualify. The Best Team Building Experience You Will Ever Have. A healthy and motivated staff is a valuable capital for each company. Employees, who enjoy work, are more engaged and productive. A positive working environment and a high corporate identification of the team are crucial among other things. 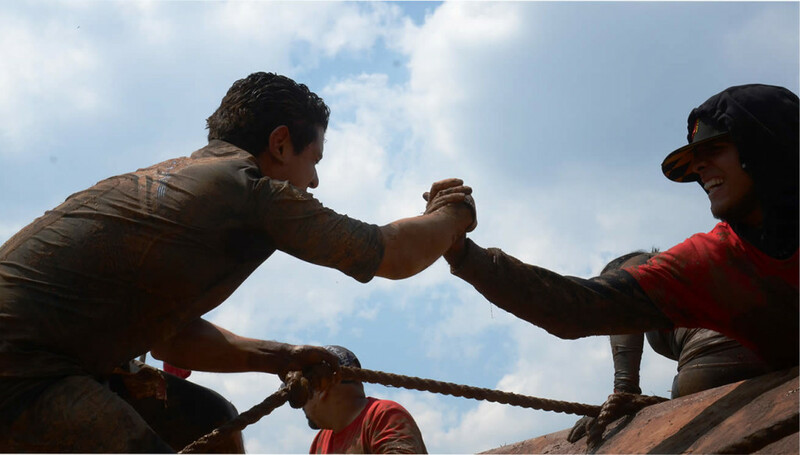 SPARTAN RACE, the international obstacle running series offers them a unique platform that effectively supports their goals on the personal development level. Strengthening the team spirit, motivation and the promotion of health are the most important reasons for attending Europe‘s largest obstacle running series. Contact us directly and we’re happily getting back to you by phone or email to discuss your individual corporate package.